As the New Year approaches with hopes anew, Cart2Cart wishes you and your family a wonderful year ahead. May the New Year bring you happiness, peace, and prosperity! 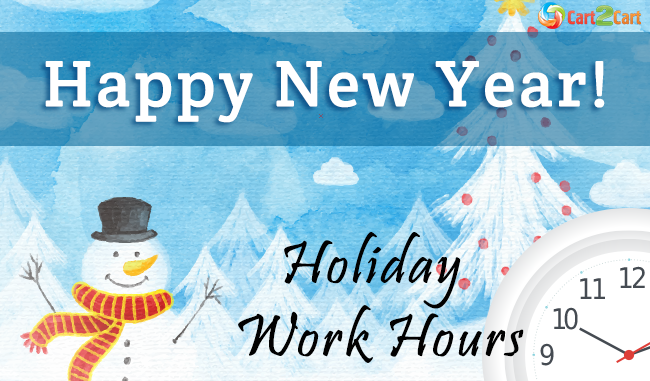 Due to the holiday, Cart2Cart will provide limited work hours on January 1st and 7th. You will be able to reach our Support Team by submitting your tickets or via live chats from 11 a.m to 7 p.m (GMT +2).